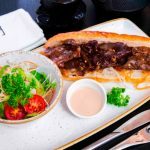 Making the most of the hustle and bustle of its closest neighbours, the Dubai Mall and the Burj Khalifa, Wakame is well positioned to prompt its patrons to embark on an enchanting culinary journey. Doing away with the outdated styles of Asian cooking, Wakame bestows a whiff of freshness, not just through authentic flavours but also through a conspicuous display and use of fine ingredients. 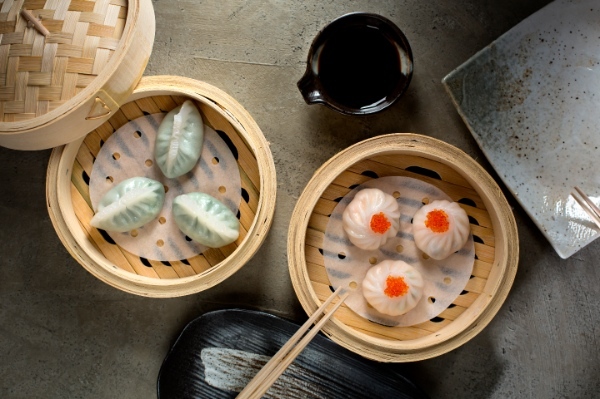 Wakame’s Dim Sum, Wok, Large Plates, Maki and New Style Sashimi are few of the many dishes on offer; all of which showcase Chef Lloyd Roberts’ distinctive flair to classic Pan Asian cuisine. The Chilean Seabass roasted in an oven and marinated with a mix of jalapeño and ginger is the most popular item on the menu. Miso Caramel Cheesecake with a black sesame shortbread base is the lip smacking and attractive dessert satiating the sweet tooth of its patrons. Free from gluten, this delicacy is sure to become the reason for diners to pay multiple visits to the restaurant. Attached to Dubai’s captivating Sofitel Downtown, Wakame flaunts the architectural mettle of Samantha Muhlbauer whose blueprint demarcated specific places to house its bar, restaurant and private dining spaces, with exclusive dim sum and sushi counters. Antiques and contemporary curios, including the 120 year old Chinese closet displayed in the private dining room are attractive to say the least. Guests can revel in their laidback disposition at the Wakame bar area, sipping different beverages while enjoying the live music renditions of an in-house DJ. 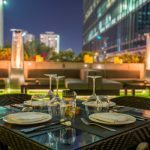 Royal China Dubai Opens Its Garden Style Dining For Autumn!